The price of electricity for medium size households in the UK has almost doubled in a decade. The price escalate up from 0.10€/Kwh in 2006 to 0.19€/Kwh in 2016 representing an increase of 90%. On average, prices in the EU for the same period raised by 50%. This fact has called the attention of the society as a whole on the effects of this upturning on the welfare of households, in particular, those in the low-income quintiles. In 2006, the electricity spent as a percentage of the total expenditures of an average household was 1.75% in the UK. This percentage increased up to 2.20% in 2016. However, there are big differences between the top-income households whose electricity expenditure represents 1.3% of their total expenditures and the low-income ones who spent 4.7%. Differences are consistent when considering other energy sources too, varying from 2.9% to 8.9% (Fig 1). In addition, the UK ranks 9th with the highest electricity prices for households even being below the EU average (Fig. 2). The Department of Energy and Climate Change (DECC) highlights that one of the drivers of this increase in energy bills may be the rising in international prices for fossil fuels, particularly gas. Others, have been critical about the effects of renewable energy support policies and the socio-economic impacts of this kind of instruments. For example, Renewable Obligations in the UK have been seen as costly for the consumer (See here). Data published by the Non-Fossil Purchasing Agency (2008) suggests that the average price per MWh of wind power in 2006 was around £93.5/MWh, while the Department of Trade and Industry and Ofgem in the UK estimated the production cost at around £55/MWh (DTI, 2006). The profits amount to over 40% of the turnover. The TGC systems seems to have thrown money at investors, rewarding them with excess profits at consumer budget´s expenses. According to Marsh and Meirs (2011), Renewables Obligations as the main policy tool used to stimulate renewable energy generation in the UK raised the market price paid for electricity and it costs electricity consumer £1.1B and £100M in Scotland in 2009/2010. By 2020, household electricity bills are estimated to be around £27 lower than in the absence of policies. Partly this result is due to the energy efficiency savings delivered through the Smart Meters policy, ECO and the Green Deal and Building regulations. Policy costs on household bills are estimated to increase on average because of low-carbon generation support policies (FITs, CfD, RO) but are expected to be compensate by savings coming from EE policies. However, can we trust in these predictions? Are economic models taking into account all the aspects, barriers and drivers that may influence price fluctuations? There have been recent surprises in policy that may change these estimations in a near future. For example, the bastion of the UK EE policy in buildings, the UK’s Smart Meter Implementation Program, projected that every household and small businesses across Great Britain would have installed a smart meter by 2020. 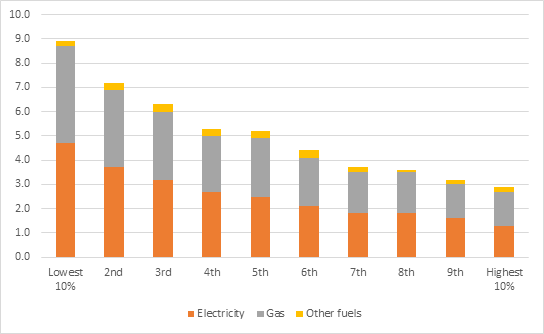 The net present value for the domestic roll-out of smart meters was estimated in £3.8bn and, average households were expected to reduce the combined electricity and gas bill by £11 in 2020 and by £47 in 2030 (DBEIS, 2016). However, figures show that only 7.14% of the target number has been installed as of late 2016 (Sovacool et al., 2017). We will have to wait to see if ex ante evaluations made by the regulatory bodies are able to predict real performance of renewable energy support policies and energy efficiency interventions. In the meantime, what it seem clear is that Energy Efficiency measures will be at the head of the new set of policies for the low-carbon transitions in the following years, and therefore, consumers will be necessary to be place at the Heart of the Energy System. Dr Cristina Peñasco is a Centre Fellow in the Cambridge Centre for Environment, Energy and Natural Resource Governance (C-EENRG). She joined the Department of Land Economy in November 2017 after six months in the Department of Politics and International Studies, also at the University of Cambridge (UK) where she is a Postdoctoral Research Associate since May 2017. 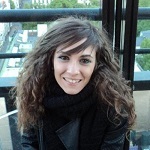 She is also an Assistant Professor in the University of Alcala de Henares (Spain) in Applied Economics. Her research interests are environmental economics, public policies and technological innovation in green technologies, with a focus on renewable energy sources. She holds a PhD. in Economics and an M.Phil in Research in Economics and Business. Besides, she has a strong background on statistical and quantitative methods of analysis and econometric techniques. Cristina Peñasco has published several articles in world-class journals such as Technological and Economic Development of the Economy, Energy Policy or The Journal of Cleaner Production among others. She has participated in several European-funded projects on renewable energy support schemes and green innovation in the EU as well as in a range of Spanish funded projects.